Best TMNT designs ever! Nostalgia overload right here! That is one excellent figure. I bow down to these figures as they are amazing. Wow! I agree and also bow down!! 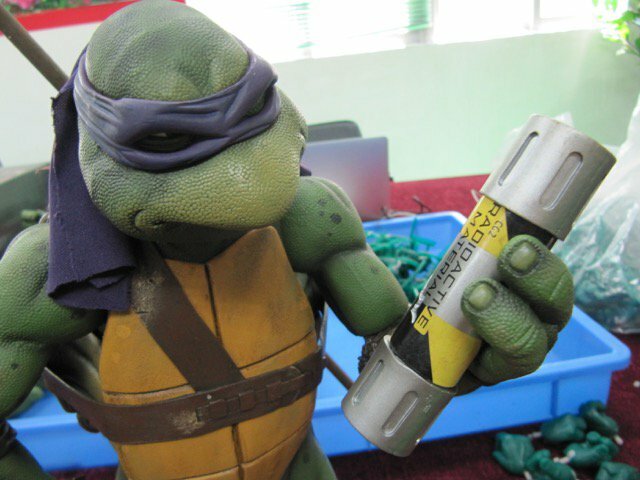 This looks like an exact replica of the movie Donnie, NECA has completely outdone themselves with this line of Turtles! I'm so glad I have mine pre-ordered at BBTS. I can't believe that this is a $100 figure. It looks like it should at least be around the $300 mark or even higher. Insane. So good. We are only willing to accept the love that we think we are worthy of.. Be worthy! They have got to be making Shredder RIGHT!!!! RIGHT!!!! If the turtles look this nice I can only hope and dream that Shredder would be this good. A quick google search left me with a view of all 4 turtles. That will set me back about $400. Guess I better start saving. Have they announced a release schedule for these?? Please tell me they are not all at once. I hope quarterly. I am fairly positive Randy said they will be released individually over time because that would really hurt some wallets to drop them all together. Donny in October, then plan is one figure per quarter. I haven't decided whether or not to jump in on these.. But I think I might have to. Same with me. They are amazing, but I do not have the room really to display four 15 inch figures together. 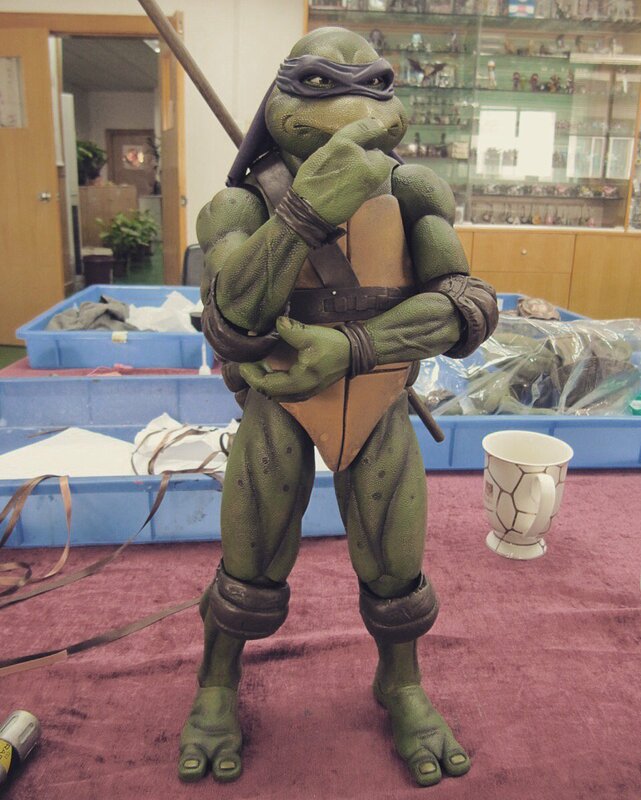 NECA Joe taslim leaked???? mabye NYCC 2016 Reveal??? So freakin excited for these!! I don't have the words to express how transcendently beautiful these 1990 Turtles are to me, as I'm sure they are to a lot of people. I remember it vividly, my brother and I won tickets to the movie through a kids breakfast show that was on at the time here in Australia. We watched it religiously, mostly because they had the Turtles in their line-up of cartoons of course. It was the very first thing we'd ever won, and the palpable shock of pure joy and happiness that shot through our bodies knowing that we had somehow managed to score tickets to the first live-action iteration of our beloved Turtles on the big-screen, and in the best cinema in town no less, was and is truly one of my fondest childhood memories. I remember my younger brother and I could barely sit still as the previews rolled and we fidgeted and fumbled in our seats, literally sitting right on the edge as we braced ourselves in anticipation, chatting frantically about how awesome and realistic the Jim Henson-engineered practical puppetry looked, who our favourite Turtle was and why, how unbelievably comfortable the plush cinema seats we were lucky enough to be sitting in were, which bad-guys the teenage ninjas would face, and anything and everything else that was running a million-miles-a-second through our hyper-active over-excited sugar-fuelled brains! NECAs figures bring all of that beautiful nostalgia flooding straight back, and just make me so damn happy. To me these are a symbol, an almost mystic talisman of all that was exciting and magical about that special time. Well done NECA, I'm all in. I want to know which turtle is laying in the bin in the background of one of the pictures. I even see turtle heads, hands, and partial bodies in them. More pictures please! I want more pictures of the others and their release dates!I LOVE LOVE LOVE them! Why? The Bay TMNT are fine. expecially in the 2nd movie, they looked awesome. 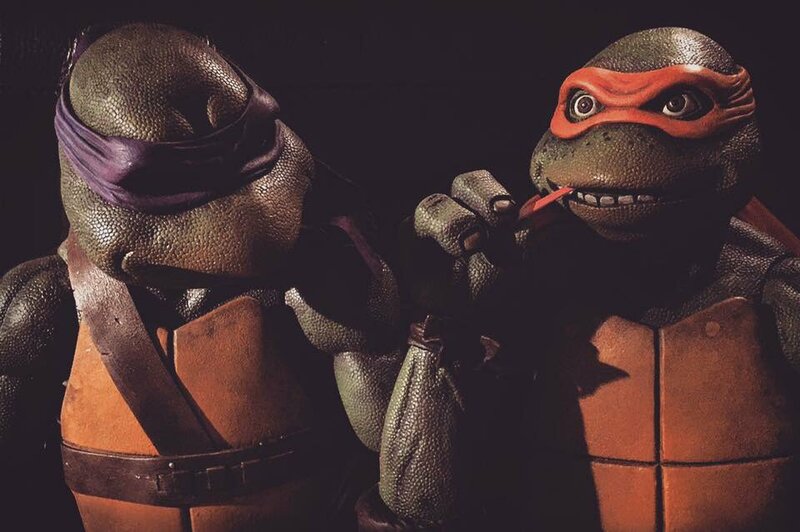 I've been a fan of TMNT since the black and white Mirage comics days, and I'm not about to dictate adaptations. I never had a problem with black leather x-men costumes, Prime's flames, etc. I don't want every version of the different characters to be identical. Where's the fun in that? I don't want to see the same look and story over and over and over. How many times have we seen the death of Thomas and Martha Wayne? It gets tiring. Letting TMNT look like teenagers instead of nudists wearing belts was a good idea to stress their individuality, promote their personalities, and also shows their desire to "fit in" with human culture.